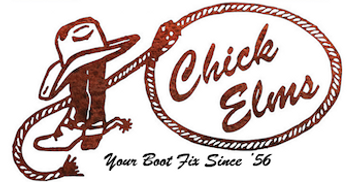 If you’re looking for the perfect pair of kids’ western shoes or boots for your little cowgirl or cowboy, look no further than Chick Elms. We have a complete collection of the highest quality cowboy shoes for kids of all ages, so every little can add a sense of western flair to any outfit. Whether you’re looking for traditional western riding boots to help your little one learn to ride a horse or fashionable pull-on boots for everyday wear, we have a full collection of kids’ western shoes and boots that are perfect for any occasion. Shop our cowboy shoes for kids of all ages below! For all questions regarding our selection, please don’t hesitate to contact us—we’ll be happy to help. We hope you find the perfect pair!